Webster, a major donor who created revolutionary cardiac devices, established a foundation that spearheaded significant campus changes. Wilton W. Webster Jr., entrepreneur and philanthropist. Photo courtesy of Alec and Claudia Webster. Inventor and entrepreneur Wilton “Will” W. Webster Jr., whose philanthropy helped shape UC Santa Cruz, died peacefully November 10, 2018. He was 90. Will’s company, Webster Laboratories, engineered and manufactured heart catheters, among them a device that enabled doctors to diagnose and treat a life-limiting condition in an outpatient procedure. 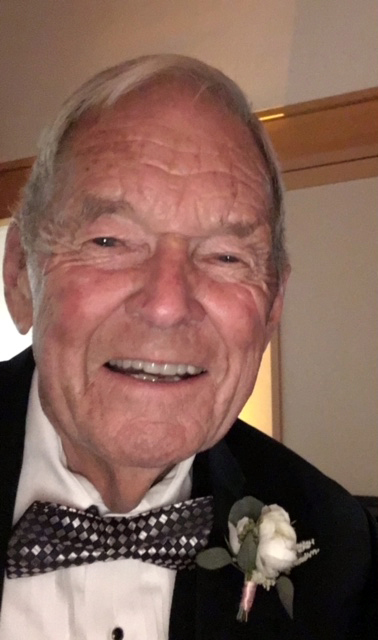 Building on his company’s success, he established the Helen and Will Webster Foundation, which has made many significant grants to educational and health care causes, including numerous gifts benefitting UC Santa Cruz. Alec Webster (Rachel Carson ’02, environmental studies) said it was important to his father to help people through both his engineering and his generosity. When the Helen and Will Webster Foundation started, it prioritized educational causes. Wilton Wells Webster Jr. was born January 29, 1928, in Pasadena. His father was an attorney who seems to have regretted not pursuing engineering and encouraged Will’s curiosity in the workshop. Will earned a B.S. in mechanical engineering at Caltech. In 1948, while still a student, he married Helen E. Miller. He began his career as a mechanical engineer designing oil refinery machinery. He later sold electronic devices to the aerospace industry. In the late 1960s, with his kitchen as his production area, he began working with Dr. William Ganz to add sensors to heart catheters. Soon he was able to rent a workspace and establish Wilton Webster Laboratories, incorporated later as Webster Laboratories. In an autobiographical passage in The Road to Scientific Success: Inspiring Life Stories of Prominent Researchers, Will describes the great satisfaction he felt in this work. Webster put an enormous amount of effort into the business, to the exclusion of some customary relaxation activities. “It is easy to find 60 to 70 productive hours in a week if you don’t watch television,” he wrote. His sons Alec and Richard contributed to the testing of the products. Alec Webster built on the experience, working as a machinist. He brought these skills to UC Santa Cruz, where he contributed to the construction of particle accelerator and astronomical devices. Alec worked for 14 years at the UC Santa Cruz Institute for Particle Physics. During that time, he became increasingly intrigued by the environment—by soil, and plants, and how they all work together—and he enrolled at UC Santa Cruz as a re-entry student. In 2002, he earned his degree in environmental studies. Alec Webster now serves on the UC Santa Cruz Foundation board of trustees. Webster Laboratories grew steadily over 20 years. Will was known for becoming personally invested in the success of his employees, providing mentorship and fostering team spirit. In 1990, working with Dr. Sonny Jackman, Will designed and began producing a device to diagnose and cure a debilitating congenital heart arrhythmia called Wolf-Parkinson-White Syndrome. The Coronary Sinus Blood Flow Catheter became its first proprietary product. The business began multiplying, and in 1996 it became a part of Johnson & Johnson. It continues to operate as Biosense Webster and has thousands of employees worldwide. The Helen and Will Webster Foundation has established five presidential chairs at UC Santa Cruz, spearheaded the renovation of the Hay Barn, and endowed Rachel Carson College. The foundation has also made grants to the University of Oklahoma, where Will collaborated with Dr. Jackman; to a chemistry building at Caltech; and to the trauma wing at Huntington Hospital in Pasadena. “It’s never about you—it’s always about what you do for others!” Will wrote in The Road to Scientific Success. The Websters’ first son, William, died in 2000. Helen Webster died in 2017. The Websters are survived by their sons, Richard and Alec; Alec’s wife, Claudia; Richard’s wife, Kimberly Kenne; five grandchildren; and two great-grandchildren.